Milestone events like Weddings, Quinceañeras, and Anniversaries can hardly pass without photos marking the event. Pinterest, Instagram, & Tumbler have raised expectations on capturing the perfect memories, the perfect theme, and even the perfect candid-shots that people will treasure forever. Beyond hiring a professional photographer, the trend of providing memory-capturing activities such as a nostalgic photo booth has spilled into social media, too. Several companies have proprietary equipment and printers for event rental which will simultaneously print and post guests’ pictures to Twitter or Instagram. Booths have evolved from the traditional strip-print of the 1950s to an “instant share” on social media. Where the traditional photo booths held a couple tightly together for a romantic photo, today’s modern booths can accommodate up to parties of fifteen or twenty. For those less concerned about being able to have an immediate print, an app like Wedding Booth just might do the trick for replaying on an iPad at the reception. Companies like Instaprint, and Instaboothless which have been positioned for trade shows and corporate events are now starting to see interest from brides and party planners. Connecting all of your guests’ experience to Twitter, Instagram, and Facebook has never been easier with Byobooth. It has features like hashtag-uploads, tracking, and instant printing. 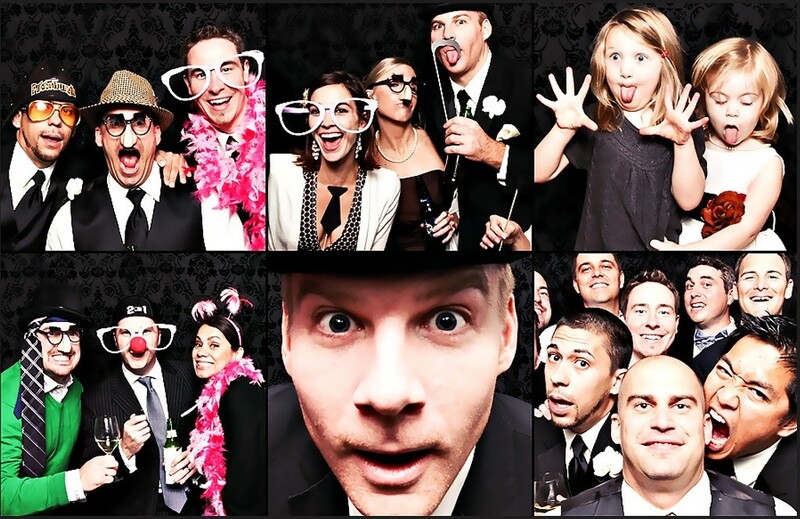 In bigger cities like Chicago, there are a number of companies like Chicago Memory Booth that can provide the whole photo booth experience with background, props, or even an actual retro photo booth as Traveling Photo Booth does. Green screen – is a technology that allows you to remove the background from an image and replace it with anything you can visualize. This is accomplished by taking photos of the subject in front of green fabric background which is replaced with another background image. Animated GIFs – allows you to take series of pictures and by putting them together creates amusing moving photo. Animated GIF can be synchronized with some music or sound effects. They are easy to create and fully shareable. Hashtag Printer – is easy Instagram hashtag printer for your occasions. You just need to upload your photo to Instagram, tag it with your event hashtag, and Hashtag Printer will print it instantly.